Michelle Burns, our new intern, joined us three weeks ago–but it feels like we’ve known her for much longer. 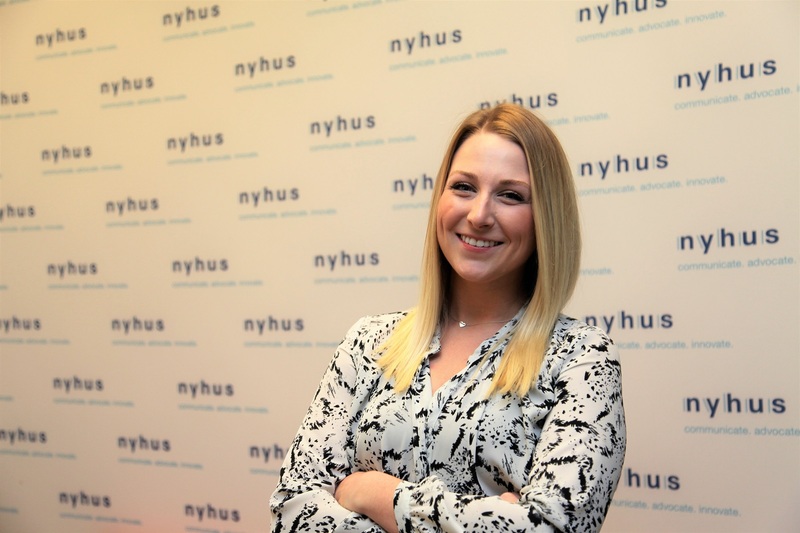 Here, Michelle shares her resolution for 2018, her proudest career moment to date, and her favorite things so far about her internship at Nyhus. What is your favorite thing about working in PR/PA? To immerse myself in all aspects of this industry. I’ve always enjoyed writing, but starting as an intern at Nyhus has opened my eyes to all that’s offered when working in an agency. I’m most excited to learn more about public affairs, marketing and media relations. My proudest career moment so far has been not settling for a career that isn’t a good fit and doesn’t make me happy. Since moving here from California one year ago, I’ve done a lot of self-exploration; I tried different career paths in the hope of finding one that I felt fulfilled in. When I finally took a step back and thought about what I enjoyed doing – writing and communicating – I found Nyhus. I feel extremely lucky to have found a place where I can do what I love while not settling for anything less than what makes me happy. To teach myself how to cook meals with more than one ingredient. I am probably the most impatient person I know, and cooking is something I never made time for in the past. I’m hoping to create my own version of the TV show “Chopped” by inviting my culinary-minded friends to my kitchen where we will compete for the title of Chopped Champion. The Nyhus team! Everyone has been nothing but warm and welcoming since my arrival. From home-baked cookies every week to helping fill my new home’s kitchen with supplies, I couldn’t have asked for a better group of people to work with. Although most of the Nyhus team and many of my friends know that I raised pigs, sheep and rabbits growing up in California, many don’t know that I also competed in beauty pageants after graduating high school. I started competing in a local pageant which ended in me winning the title of Miss Congeniality (just call me Sandra Bullock), to competing in two other pageants with more contestants throughout the state both resulting in top 10 placements. I learned valuable interview and stage presence skills while competing, but ultimately decided to hang up my crown to focus on my education.